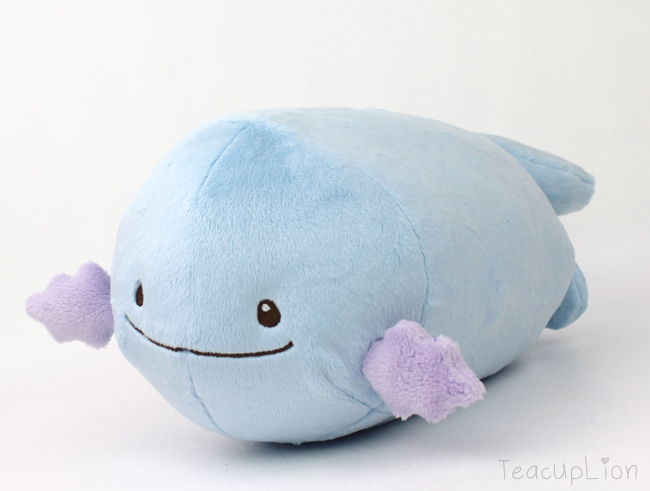 Sew your own Wooper Pokemon plush with these free additional pattern pieces! 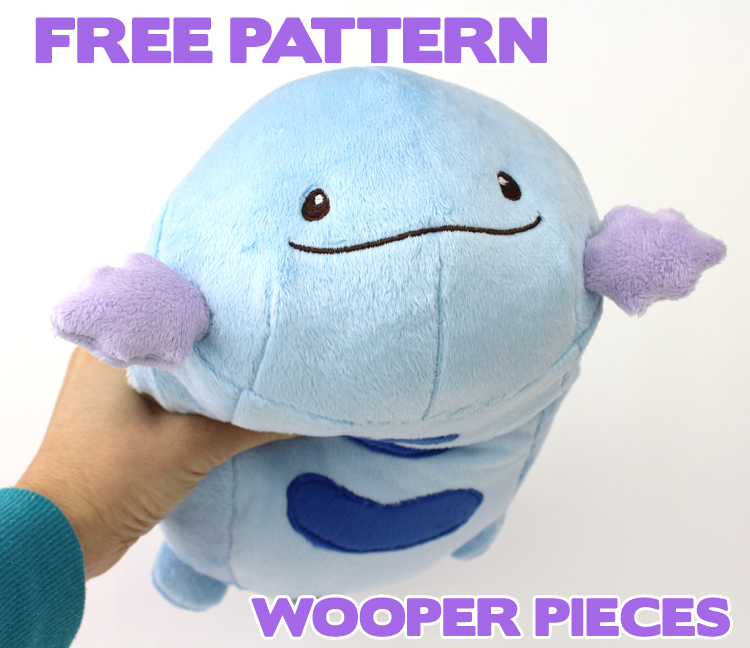 Tutorial below; download free Wooper sewing pattern pieces here! 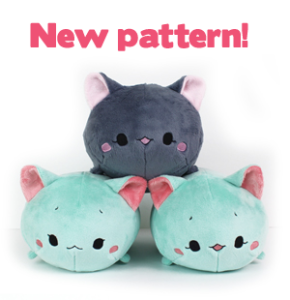 Step 1: Sew around pieces according to instructions on the pattern page. 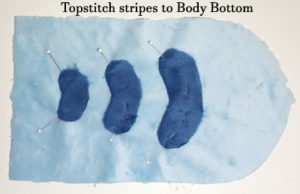 Body Stripes: Pin to Body Bottom piece, topstitch around with 1/8″ seam allowance. 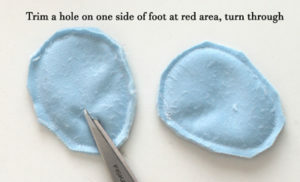 Feet: Sew around completely, trim away 1/8″ of SA (seam allowance). Cut a small hole on one side of the fabric in the bottom of the foot inside the area that will be ladder stitched (red circle). Pull through with tweezers or hemostats. 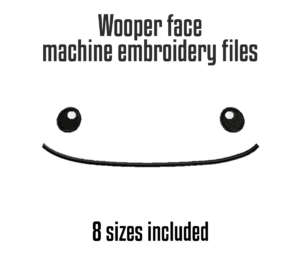 Gills: Sew around, trim away 1/8″ of SA, stuff firmly. 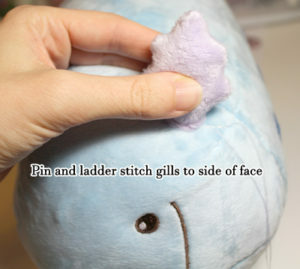 Pin to side of face and ladder stitch with 1/8″ SA, holding the gill perpendicular to face as you sew it. 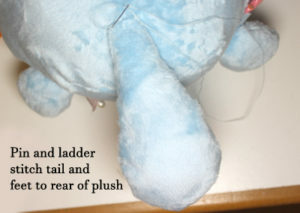 Feet and tail: Stuff firmly, ladder stitch or whipstitch tail in a straight line to rear of plush with 1/8″ SA. Ladder stitch around feet in a circular pattern. 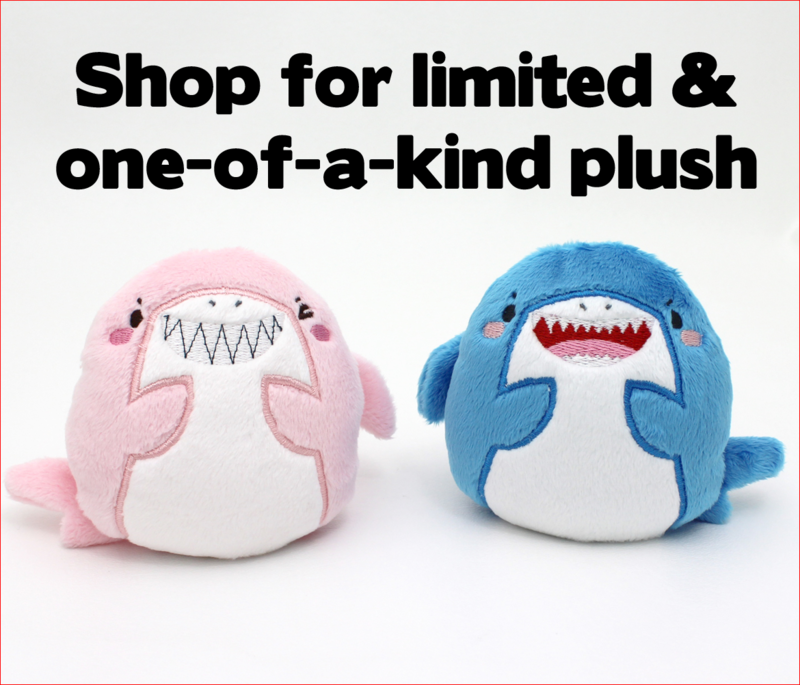 You are welcome to sell plush with this pattern. If you use this pattern, please provide credit to “Pattern by TeacupLion”, and a link to my site www.teacuplion.com is greatly appreciated. Thank you!